The concept of the robot has excited human imaginations for millennia. As far back as ancient Greek civilizations, we’ve been dreaming of robots – think of Talos, the giant moving statue with magical circuitry powered by ichor. One of Talos’ ancient duties was to protect the island of Crete from intruders, and this isn’t too dissimilar from the tasks modern security robots are being given today. Let’s take a look at how our mechanical helpers are revolutionising industries across the globe. Improvements in Artificial Intelligence aren’t only useful for helping Alexa to understand when she’s needed and when she’s not; it’s also very important for the security industry. AI has the potential to recognise identity, gender and age through complicated algorithms, which are applied to security footage. This means that criminals could be increasingly less likely to get away with crime in the future, as this technology continues to improve. There are even robot security guards in the making. They don’t look very threatening and they can’t climb stairs or use lifts; but Deano Roberts, Global Facilities Director at Slack, contends: ‘[they] are great at detecting anomalies, something that humans actually aren’t all that good at’. Perhaps the near future will see security become the combined effort of humans and robotics preventing crime successfully and efficiently. There are different types of robots currently helping out in the healthcare industry, from cute helpers to surgical specialists. One of these mechanical Samaritans is known as the Carrier; this robot helps to ‘carry’ items – such as food – from one part of the hospital to another and also functions as a guide for lost patients. 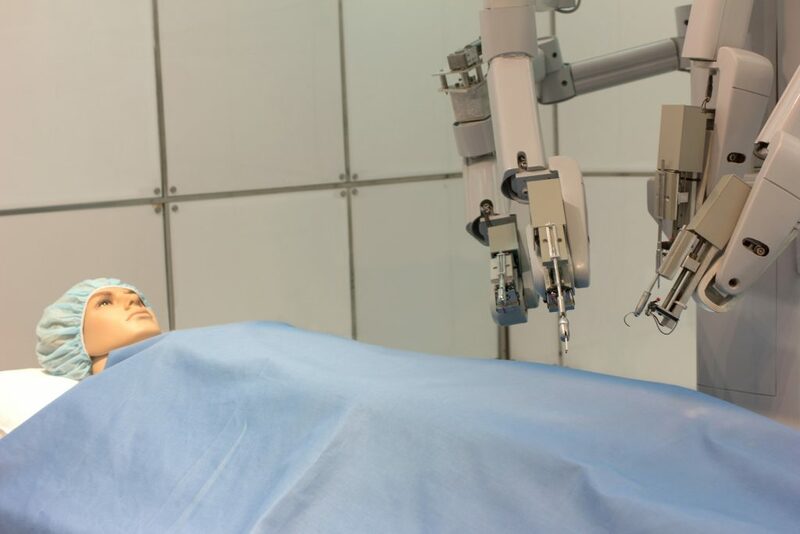 Robots also carry out important functions in surgery. In order to perform invasive surgery, long cuts are often made which heal slowly. The current goal is to minimise the length of the cuts needed; one way of accomplishing this is to extend the length of surgical tools, allowing for more dexterity in smaller spaces. However, one problem with making these instruments longer is that they become more difficult to use precisely, often causing hand tremors in surgeons, which increases the likelihood that they could do more harm than good. This is where robots come in. Due to their careful precision at wielding long surgical instruments, and under the careful guidance of a doctor, successful operations can be achieved more efficiently and consistently. 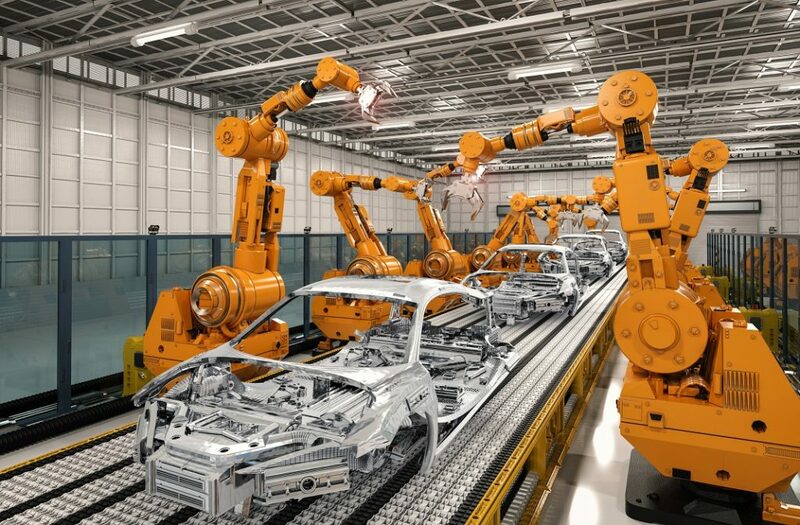 Manufacturing is one industry that has been radically changed by the introduction of robotics. Repetitive jobs that were previously performed by human labour forces can now be handled by machines that won’t get bored or dissatisfied by their tasks. A robots’ higher accuracy allows for greater quality and efficiency in manufacturing, just as it does in surgical operations. This makes them a great asset for many sectors, whether they’re used by custom spring manufacturers or in vehicle production centres. The agricultural industry is extremely important to the survival of humanity – it provides both food and fuel. The potential for robotics to ease human labour in this area is expansive, from picking fruits and vegetables to milking cows and spraying crops. Robotics is still a developing technology; many posts on robots quote their ability to work 24/7, without need for holidays or inconvenient sick days, but this isn’t entirely accurate. Even the best technology requires maintenance and upkeep. Most computers and laptops will start exhibiting some funky behaviour if left without maintenance for a few years, and robots are just the same. An occasional break-down is the robotics equivalent of a sick day, except that the employer is responsible for paying for the doctor (an engineer) and the medication (spare parts). That said, it’s thought that if you replace one person on a production line with a robotic counterpart, the output will increase by 40%, making robotics well worth the initial expenditure. Perhaps one day, all industries will be revolutionised by robotics, even the beauty industry. Robotics has been a long time coming, but it still has a long way to go. While there may still be a couple of hiccups to iron out, we think that a future with robotics is a promising one. If you’re interested in reading more about robotics in manufacturing, then check out our page dedicated to springs in automation.